The long-neglected root becomes even more productive in hotter temperatures and could be the best bet for African farmers threatened by climate change. 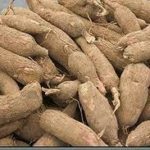 Cassava is the second most important source of carbohydrate in sub-Saharan African, after maize, and is eaten by around 500 million people every day, scientists said. 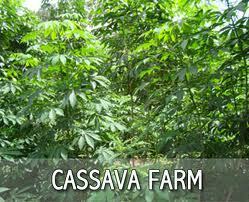 “Whilst other staples can suffer from heat and other problems of climate change, cassava thrives,” Jarvis said. Cassava outperformed six other staple crops in sub-Saharan Africa in 24 climate prediction models, the report says. The plant grows well in high temperatures and if drought hits it ‘shuts down’ until the rains come again, the scientists said. 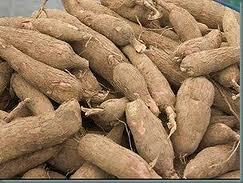 Cassava originated in South America, where it’s called yuca and has been used since prehistoric time. It was introduced to Africa by Portuguese traders in the 17th century. It grows in poor soils and with little water. It’s eaten like a potato, boiled or fried, and often is pounded to a flour to make a thick porridge. Nigeria is Africa’s biggest grower, with ’36-37 million tons of production every year’, and the Democratic Republic of Congo the next largest producer. Cassava could be now a ‘fallback when other crops are failing’, Mr Jarvis said. The scientists hoped their findings would push the scientific community to focus on the root. Cassava research has been dwarfed over the decades by greater research into better-known staples like maize, rice and wheat. 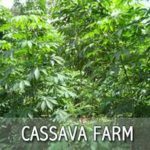 It is suggested that more research could also help make cassava more resilient to pests and diseases such as white fly, mealybug, cassava brown-streak disease and cassava mosaic disease.